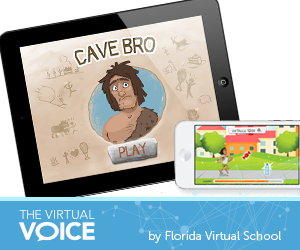 Can a Caveman Teach Kids to be Healthier? Can a caveman teach kids better eating and exercise habits? 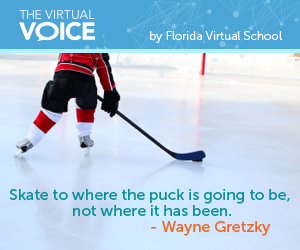 The team at Florida Virtual School is betting he can. They’ve defrosted Cave Bro as part of an entertaining new game concept designed to teach kids how to make better nutritional choices. Cave Bro has been frozen for more than 30,000 years, so needless to say he’s hungry and will eat anything. It’s up to players to decide what he eats, how much, and how often. Good choices win. Bad choices create one really cranky caveman. 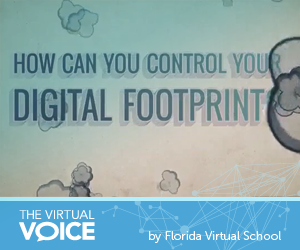 So, have you figured out all the perks of going to school online yet? Obviously, you can do your school work any time of the day that suits you, but it is the “anywhere” perk that I find awesome. My first two years of college I spent at a physical college campus. The second two years I went to college online. This allowed me to work full-time during the day (much like some of you go to school during the day) and then complete my college work at night and on weekends. 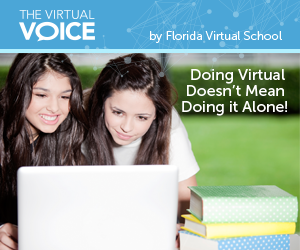 Doing Virtual Doesn’t Mean Doing it Alone! When people think virtual, what do you think comes to mind? 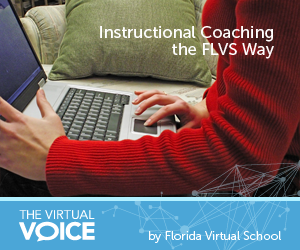 Prior to my experience at FLVS, I thought of sitting alone in front of the computer, reading lessons, responding to discussion boards, and checking email. The common denominator behind all of my thoughts was that you do it alone. 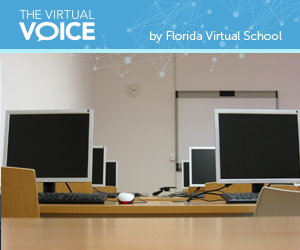 While virtual education primarily places responsibility on the learner, there is a debatably larger need to collaborate to be successful. Do you remember what it was like before we had computers? No? Well, I do. It was tough, real tough…especially if you needed to spell a word. I often take it for granted that we have arrived in the digital age. 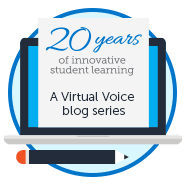 I think there may have been two years in the early 1990s when I didn’t have computers in my classroom for student use – and once we had computers, use them we did! And then this cool thing called the “Internet” came to our schools. 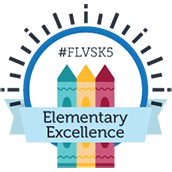 Our capabilities to connect students to learning resources and the real world grew exponentially. 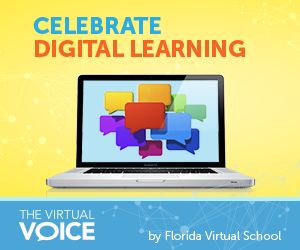 We are so fortunate in Florida to continue to have fabulous support for digital learning, from virtual schools to classroom support. 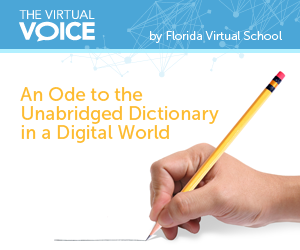 Yet, there are still places in Florida, as well as the rest of the country, where going digital is a struggle for teachers and students. After seeing promotions for the fast-approaching 2014 Winter Olympics, I was reminded of when I was watching a sea of icy blue and white at the opening ceremonies of the Vancouver 2010 Winter Olympics. I was just in awe of the talent, determination, and tenacity all under one roof. If you really allow yourself a moment to take it all in, it is an overwhelming feeling that almost takes your breath away. As the famous Canadians carried the Olympic flag through the stadium, I wondered if they had ever dreamed they would be honored with that special task in this international tradition that seems to unite the world for a moment in time.